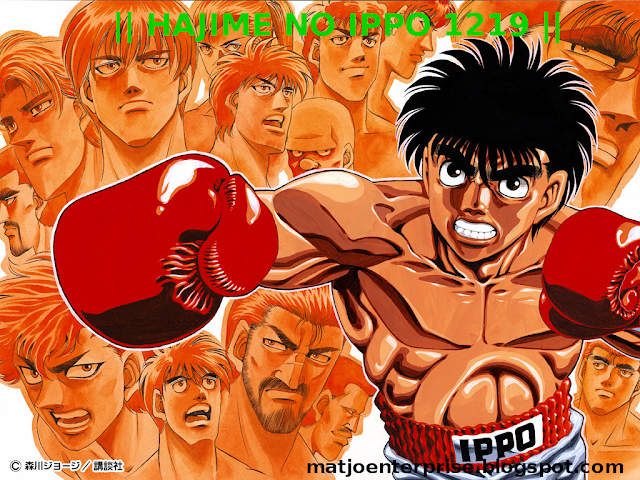 Ippo Makunouchi was an extremely shy high school student, unable to make friends due to always being busy helping his mother run their family fishing charter business. Because he kept to himself, a group of bullies led by Umezawa got into the habit of picking on him. One day, when these bullies gave him a rather serious beating, a middleweight professional boxer who was passing by stopped them and took the injured Ippo to the Kamogawa Gym (鴨川ボクシングジム Kamogawa Bokushingu Jimu), owned by retired boxer Genji Kamogawa, to treat his wounds. After Ippo awoke to the sounds of boxers training, the boxer who saved him, Mamoru Takamura, tried to cheer Ippo up by letting him vent his frustrations on a sandbag. It was then that they had their first glimpse into Ippo's talent for boxing. 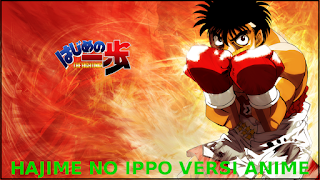 After that incident, Ippo gave the situation a lot of thought and decided that he would like to begin a career as a professional boxer. SELEPAS MUAT TURUN, SILA NAMAKAN BALIK EXTENSION FILE DARI ".mtj" KE ".rar". GUNA FILE ACHIEVER SOFTWARE UNTUK EXTRACT FILE.